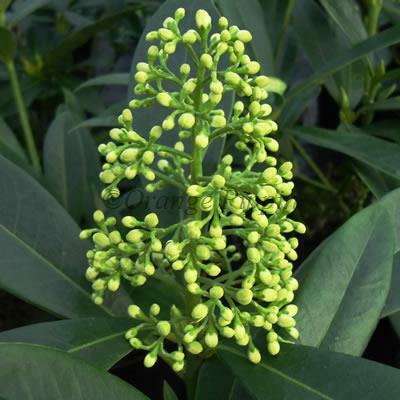 Skimmia x confusca 'Kew Green' is a low growing evergreen shrub with masses of fragrant green flowers during the spring, these being set against delightfully aromatic oval green leaves. This easy to grow, low maintenance shrub is a fine plant for autumn and winter interest and would be best grown in a full or partially shaded position in the garden, a woodland area would be the perfect spot. It can also be planted near female varieties of Skimmia to ensure they produce berries which the birds adore.